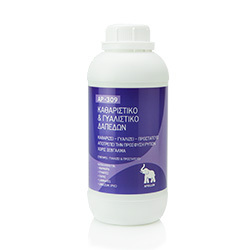 Cleaner of impregnated stains from polished marbles and stone surfaces. It is non acidic and doesn't damage the polish of marbles. 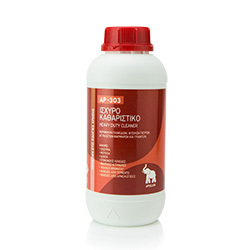 A mild detergent for polished marbles and floors sensitive to acids. It doesn't damages polished marbles. 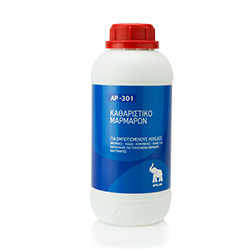 Powerful concentrated cleaner for the removal of construction pollutants. Residues of joints cement, salts, rust, etc. Rust cleaner without acids, for all stone surfaces such as polished marble, granites and limestones. Cleaner of mold stains from marbles, cement walls, any stone surface, expansion joints, etc. Removes even the most hectic stains of green and black mildew. Cleaner for oils greases and residues of fats. 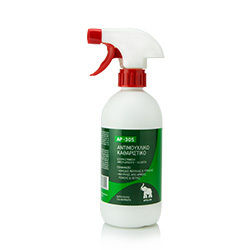 Removes mechanical oils, grease, fats and oils in industries, garages and the kitchens. 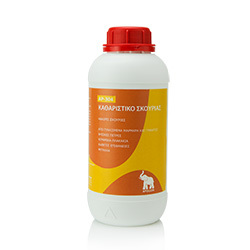 A mild detergent for polished marbles and floors sensitive to acids. Cleans & polishes marbles, granites, parquets, laminates, linoleum, etc.